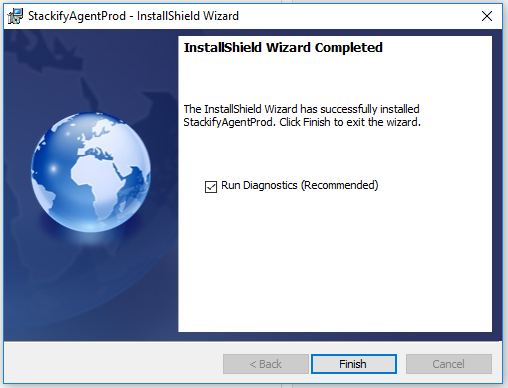 Our Windows monitoring agent is a .NET application that runs as a Windows Service on your server. Retrace is supported on Windows 2008 R2 and newer and is installed via a simple Windows installer. The Windows installer also installs our .NET profiler and it will automatically profile IIS web applications. The Retrace installer can be used via command line. This is useful for automating deployments with things like Chef, EC2, Azure Cloud Services, and other scenarios. ENABLEPROFILER - This should be a 1 or 0. If you want to profile the performance of your .NET applications, this should be set to a 1. RESTARTIIS - Retrace's .NET profiler will not work until IIS is restarted after installation. 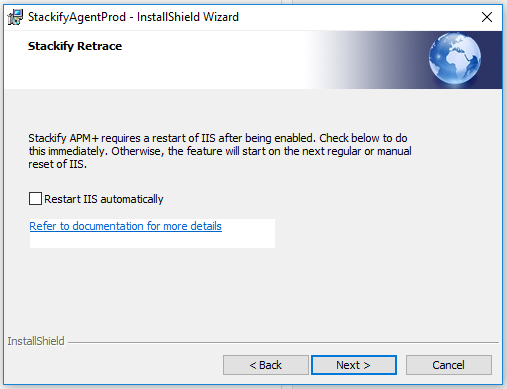 Set this to a 1 to have Retrace automatically restart it, or set it to 0 and manually restart IIS yourself. 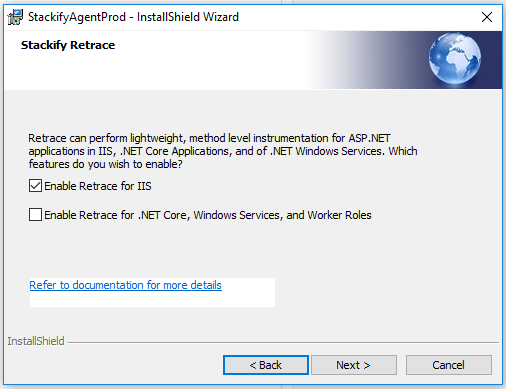 ATTACHALL - This must be set to a 1 if you want to use Retrace with .NET Core or Windows Services. It is not required for ASP.NET full framework applications running in IIS. You can find your Activation Key from your Account Info page within Retrace. 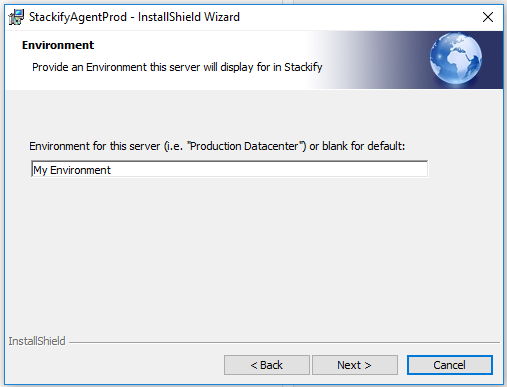 For each server, you will be prompted to set the Environment. This is a way of grouping your servers based on production environment, location, client, etc. Most commonly used as Prod, QA, etc. 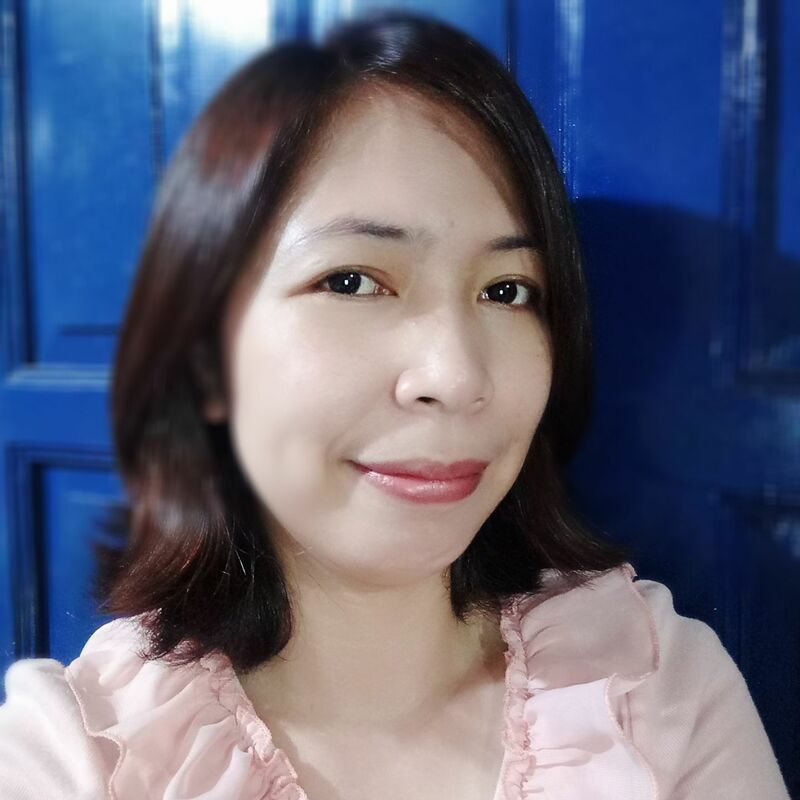 Selecting this feature will automatically discover all .NET applications that are hosted within IIS and begin monitoring them. Selecting this option will restart IIS immediately after installation of the .NET agent, which may be unwanted for Production servers. You will still be able to begin monitoring, but you will not receive any APM data until IIS is restarted. IIS Must be Restarted for Retrace to Work! The .NET profiler will not work correctly until IIS is restarted. Make sure you restart it during off times if you don't restart it immediately during the installation. 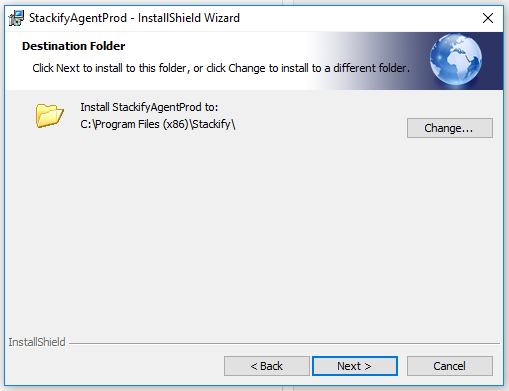 The default installation folder for the Retrace agent is C:\Program Files (x86)\Stackify. Changing this path may create issues with certain features, such as agent updates, and we recommend leaving the default setting.